The Flying Banner is ideal for events where wind is an issue, and looks equally impressive indoors. 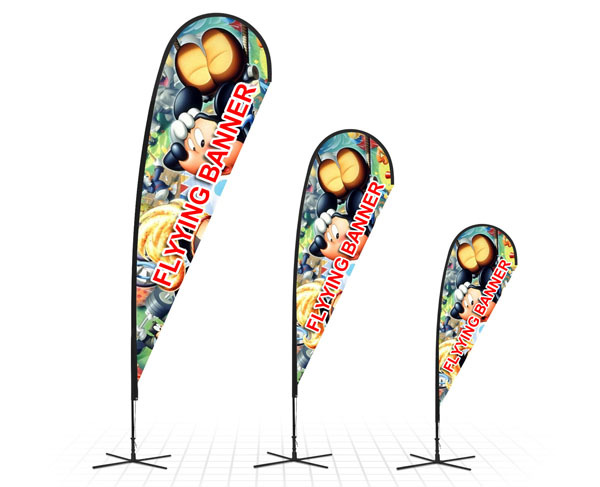 The banner is incredibly light, weighing under 2kg, and comes alive by rotating in the wind. It makes no flapping noise and clearly displays your company's message 100% of the time. 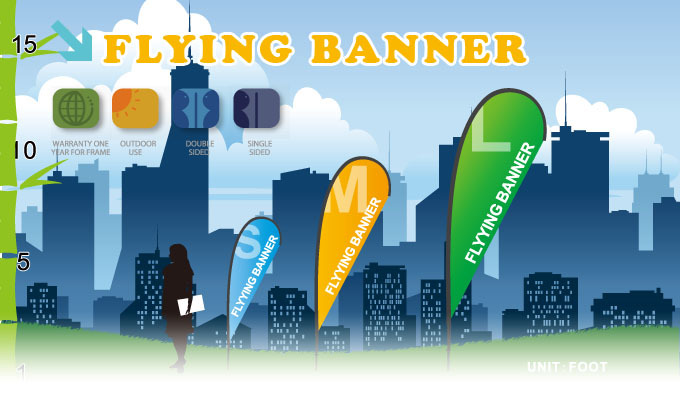 The Flying Banner comes in four different sizes - 2m, 2.8m and 4m in height. It comes complete with banner, rods, carry bag and soft ground stake. 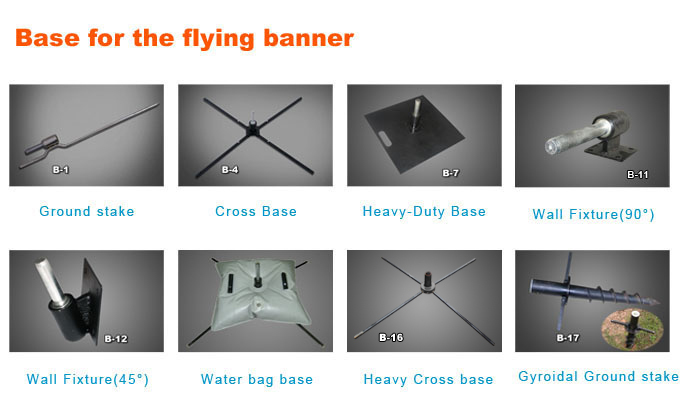 The Flying Banner also has various stand options such as the indoor folding stand and heavy metal base for use on concrete. Standing up to 4m high, the Feather Banner is eyecatching and effective in even the windiest of conditions. The cross bar ensures that your message is always displayed. Made from lightweight polyester and weighing less than 2kg, they come complete with banner, rods, cross bar, carry bag and soft ground stake. 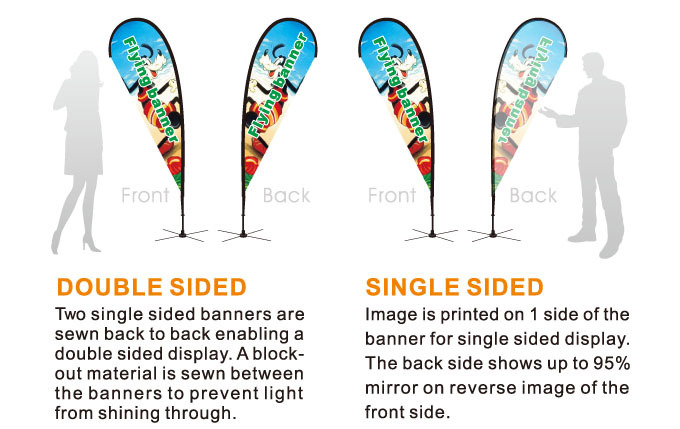 The Feather Banner also has various stand options such as the indoor folding stand and heavy metal base for use on concrete.